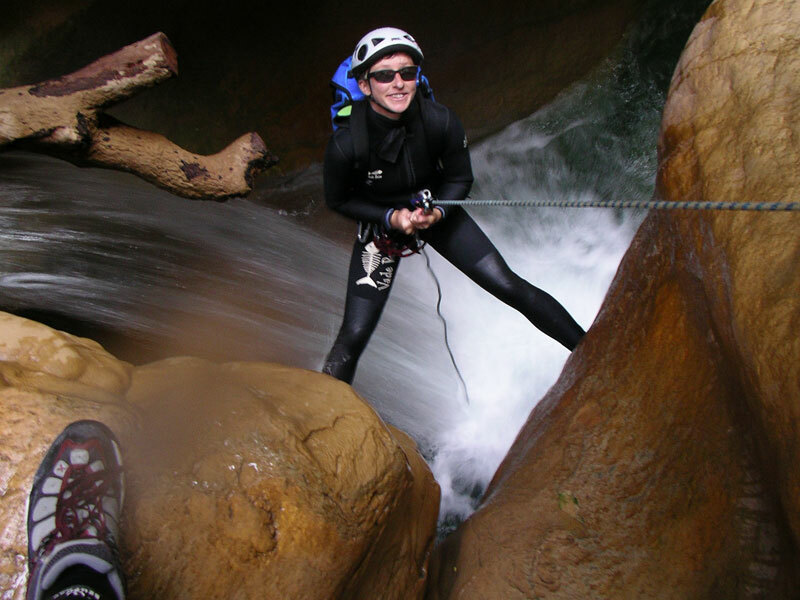 A canyoning long-weekend, perfect for those that are short on time or have tried a half day’s canyoning and have a taste for more. 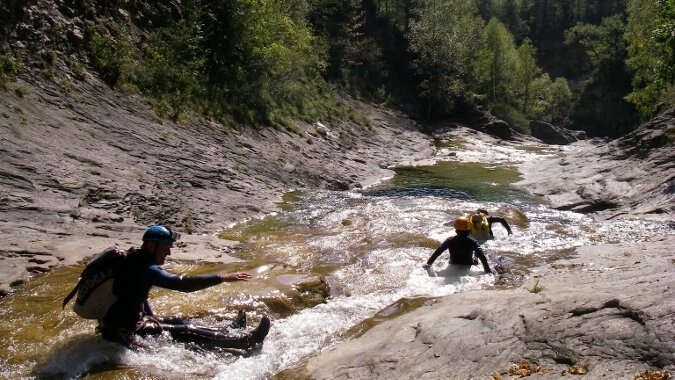 This trip is based in the French Hautes Pyrenees, for two and a half days of canyoning. 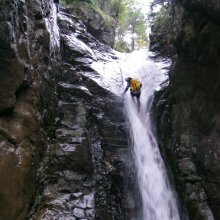 Over the weekend we tackle both aquatic and vertical canyons, working through the techniques of abseiling, jumps and toboggans. The canyons are progressively more technical and challenging; working up to an unforgettable finale on the last day. Upgrade to higher end Hotel based accommodation is available at extra cost. PLEASE NOTE: local transport is NOT included in this programme. You will need to bring your own vehicle. Alternatively taxi transfers can be arranged at extra cost. 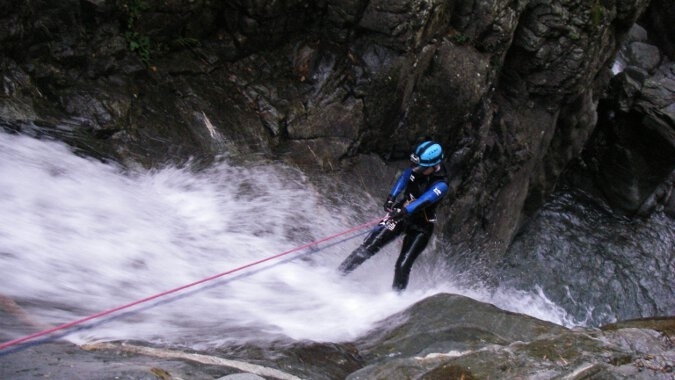 Please read our kit list for suggestions on what to bring on your canyoning holiday. 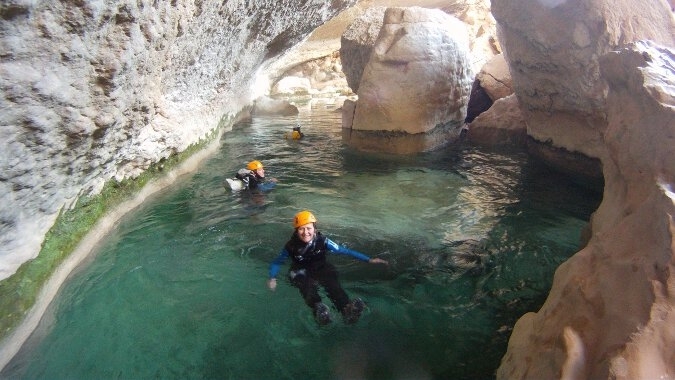 Now choose your canyoning holiday dates, then contact us to book. Arrive mid-morning. There is time to get some lunch in Bareges before we set out to tackle our first canyon. 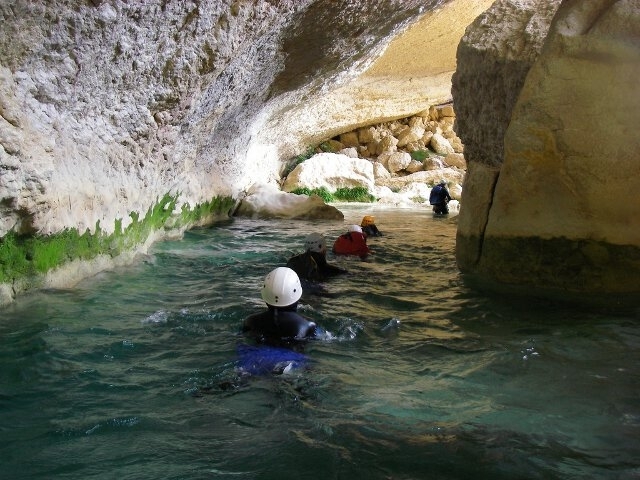 The Heas canyon is an aquatic river canyon – a great introduction to canyoning as it is non-technical but has some brilliant pools, jumps and waterslides. We leave after breakfast and head for the Canyon de Viey in the Bareges valley. 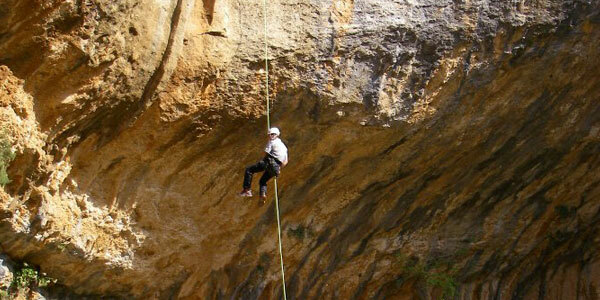 This is a vertical canyon, giving us the opportunity to practice with the ropes and brush-up on abseiling technique. The trip culminates with an impressive 45 metre abseil beside a rushing waterfall – pack your camera, as this is one to remember! 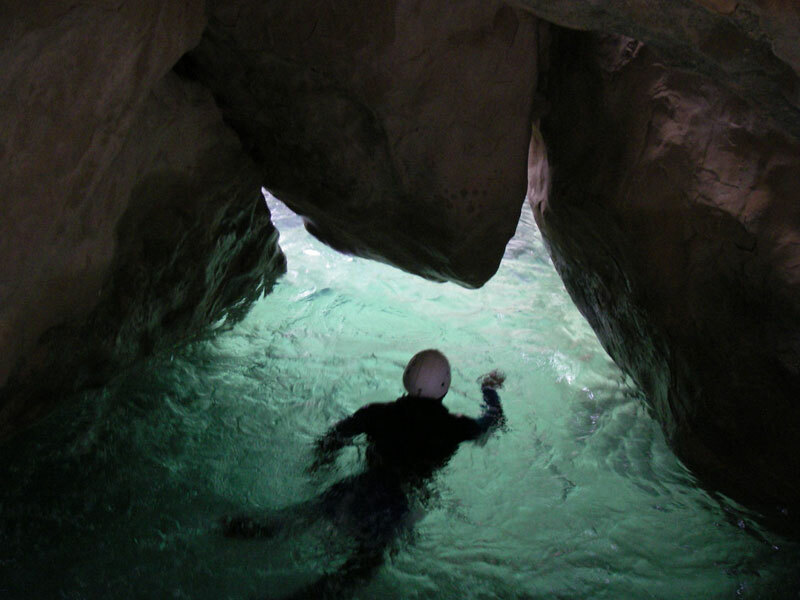 For your final day, we tackle the big one, with a 10 metre jumps, big abseils, and more technical challenges in this spectacular, aquatic canyon. The canyon d’Ossoue is a maze of crystal clear pools and lush vegetation, surrounded by the awe-inspiring scenery around the Cirque de Gavarnie. 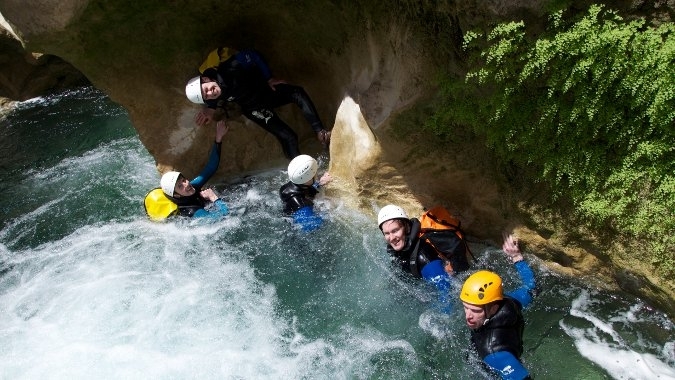 This is a brilliant finale to a weekend of canyoning, or an ideal taster for our week-long trip next year! This is an example itinerary. The specific canyons included will depend on the weather and water conditions, and the interests and abilities of the group. 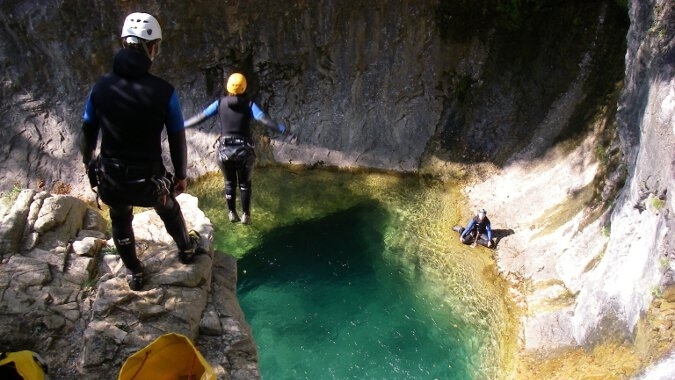 We use fully qualified local instructors for our canyoning, who will tailor their instruction and itinerary to your particular skills and requirements. The programme has been designed to fit with Ryanair flights to and from Lourdes on Saturday and Tuesday. PLEASE NOTE: local transport is NOT included in this programme. You will need to bring your own vehicle. 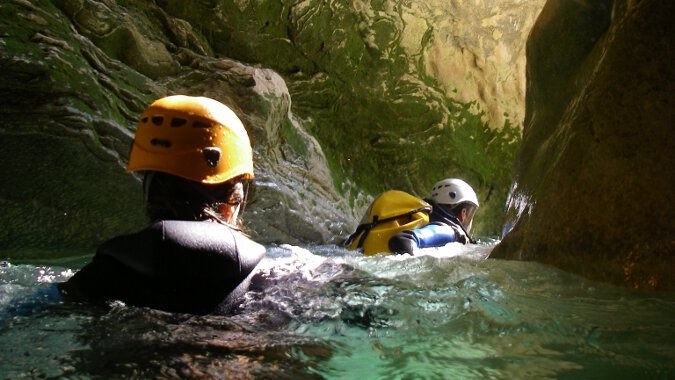 Please see our planned canyoning trips below. If you have other dates in mind, we can arrange a bespoke trip for groups of 4 or more. We do add more dates through the season as people book, so please keep checking if you’re interested in a trip that is not yet confirmed. 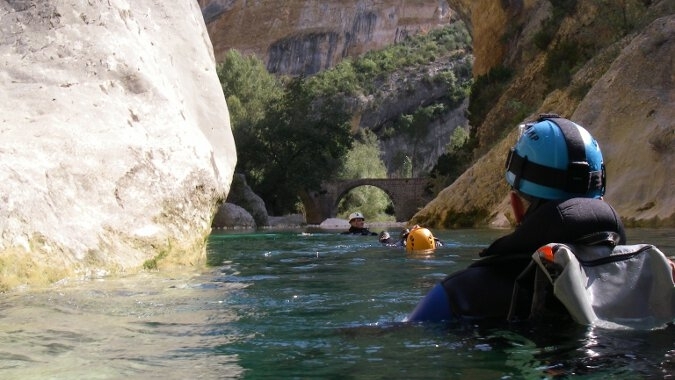 Our all-inclusive 1 week canyoning holidays includes seven nights accommodation, generous continental breakfasts, packed lunches, afternoon tea & cakes (French side only) and delicious three course evening meals on six nights. 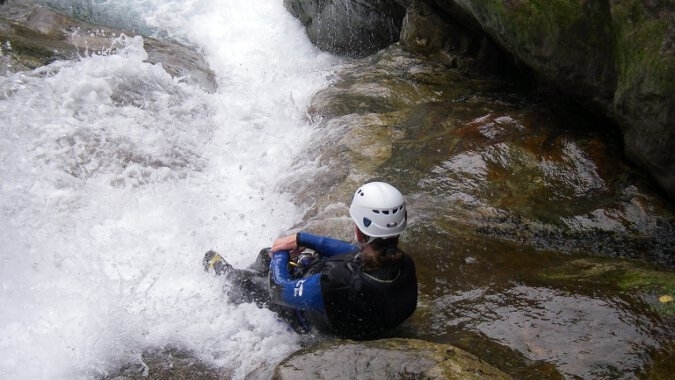 There are six days of canyoning with a qualified instructor, and all specialist equipment hire is also included. 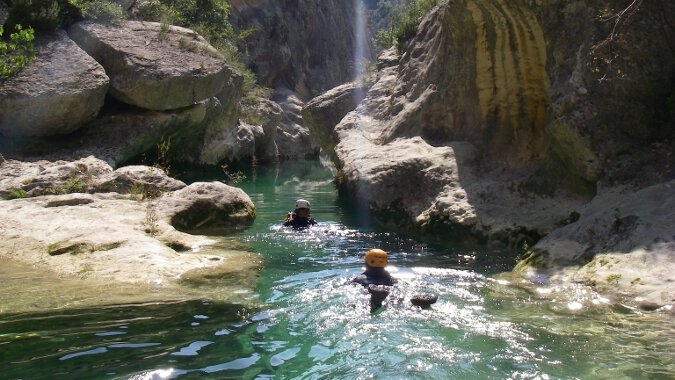 The long weekend canyoning itineraries are based on a morning meet in France on Day 1 and include two and a half days of guiding, equipment hire, three nights comfortable hotel accommodation and all meals. Depending on flight times, you may need to consider additional accommodation in France at either end of the trip. Prices are based on 2-sharing a double/twin room, and for a minimum group size of four people. PLEASE NOTE that local transport is not included, so you should arrange to bring your own vehicle.